Field of Vision and the Institute of Contemporary Arts present a special programme of short films recording the rise of the right and the fragility of democracy, including Marshall Curry’s A Night at the Garden, nominated for Best Documentary (Short Subject) at the 2019 Academy Awards. A Night at the Garden, Marshall Curry, USA 2017, 7 min. 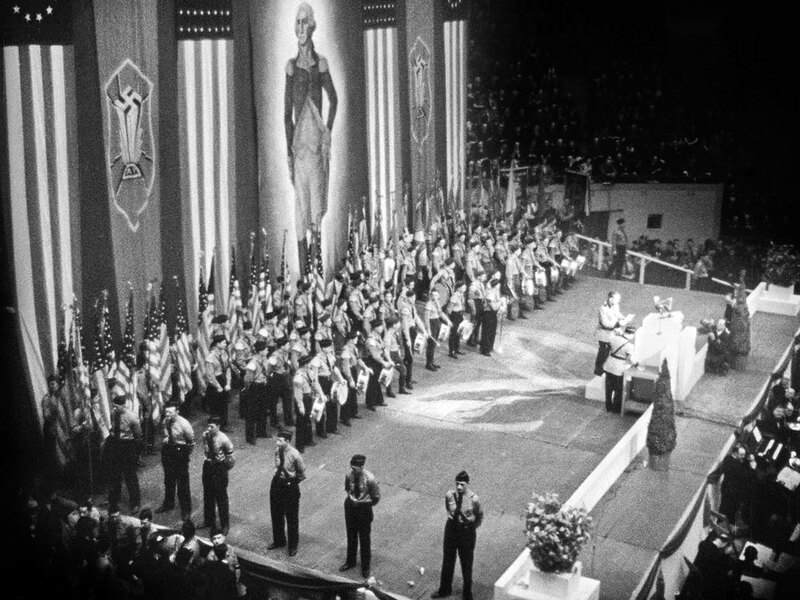 In 1939, New York’s Madison Square Garden was host to an enormous – and shocking – Nazi rally of 22,000 Americans. Through archival footage, Curry presents a narrative that is painfully relevant to today’s political climate. Dancing with Le Pen, Nora Mandray, USA 2018, 23 min. In France’s last presidential election, Marine Le Pen, a right-wing candidate, won over 30 per cent of the vote after an attempt to rebrand a party long associated with her controversial father, Jean-Marie Le Pen. See how three of her supporters faced similar obstacles in changing the narrative. 44 Messages from Catalonia, Anna Giralt Gris and Ross Domoney, USA 2017, 19 min. In 2017, the citizens of Catalonia voted to become an independent state, a result which was soon after deemed illegal in Spain’s constitutional court. Through conversations and WhatsApp chats recorded in the leadup to the referendum, join the voters as they head to the polls and anxiously await the results. Best of Luck with the Wall, Josh Begley, USA 2016, 7 min. A voyage across the US-Mexico border stitched together from 200,000 satellite images. Peace in the Valley, Michael Palmieri and Donal Mosher, USA 2016, 15 min. Eureka Springs, Arkansas is home to the largest outdoor Evangelical Christian Passion Play in the US. The town is also preparing for an important anti-discrimination vote that, if passed, will protect LGBT rights. Peace in the Valley follows Eureka Springs’ inhabitants as they prepare for the historic vote. Field of Vision is a US-based filmmaker-driven documentary unit that commissions and creates original short-form nonfiction films about developing and ongoing stories around the globe, committed to making cinematic work that tells the stories of our world from different perspectives.